This is the workout for you. Whoever you are. The workout that offers a chance to achieve something more. We’ve all got goals – losing weight, getting faster, increasing power. But most workouts don’t tell us whether they are helping us hit those goals. At the Athlete Training Centre we are all about helping our clients reach their goals. We believe we are in the Fitness Business Not The Membership Business. When we moved into our new world class facility in May 2014 we wanted to build something special. So we've partnered with Performance IQ and Myzone to bring you a personal achievement system that displays your real-time performance statistics on two 200” HDTV displays at the front of the room. MYZONE is a system that tracks your heart rate, calories burned and effort accurately in real time. The technology gives you the insight you need to tailor your physical activity in order to achieve your fitness goals. MYZONE measures the effort exerted by your heart, which is the most accurate way to measure the intensity of your physical activity. Like most of you, we believe competition fuels performance. The Performance IQ system displays your real-time performance statistics (Power, RPMs and Energy) on a large HDTV display, You to compete against your neighbors, your instructor and, most importantly, yourself. It is not as complicated as it sounds just a few simple numbers which will encourage you to push harder. You will be amazed at the rapid improvement that you can make. Watch yourself get fitter, faster, and stronger. 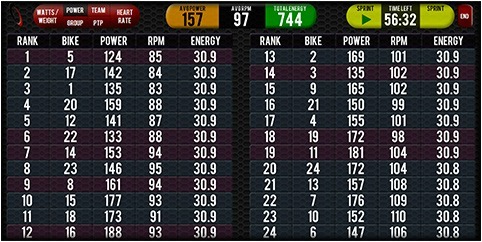 Our instructors lead the way, suggesting target power levels and RPM's to strive for. But YOU decide exactly what's right for you by controlling the technology on your bike. Your instructor will take you through climbs and descents and motivate you during all out sprints. 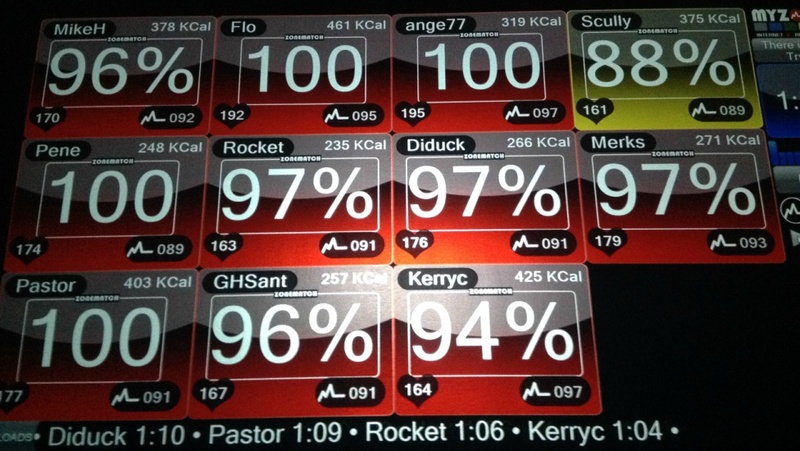 At the Athlete Training Centre we have built the best indoor cycle room in the Greater Toronto Area. Stadium style bike arrangement. This tiered gives you the best bike in the house wherever you are sitting.